This plunge wireless bralette with all-over stretchy floral lace and lined with 280 denier powernet for better breast control with lift and support. Features push-up mesh panels sewn in along the bottom and sides of the cups move breast tissue towards the centre and enhance your cleavage. An elastic along plunging neckline gives a more custom fit. 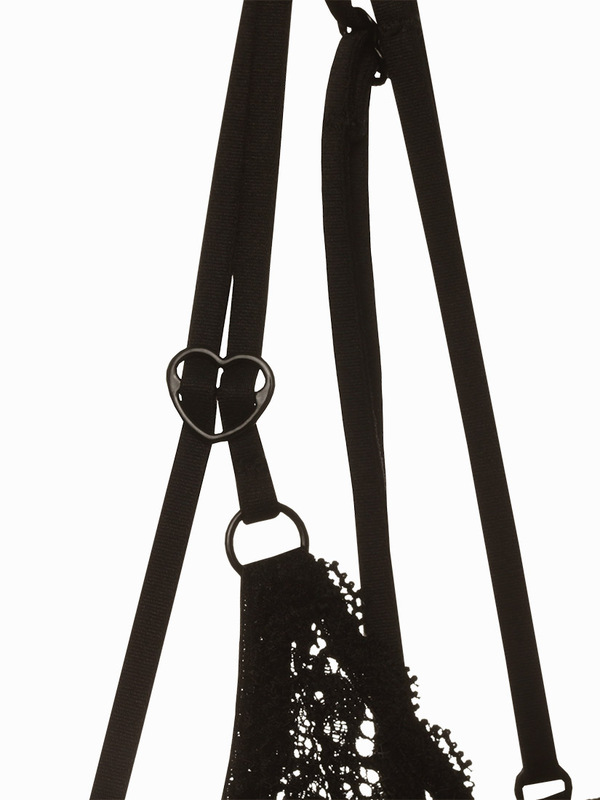 Adjustable duo spaghetti straps with a heart shape metal hardware at the front keeping straps in place. Elastic 2-ply fabric underband provides additional support for the bust. Enclosed a pair of triangle contour bra paddings for a fuller look, gives a smooth and natural breast shape. Suggest to take away if wear as a sleep bra. Suitable for B to D cup and suggest to wear without cups for Bigger C / D cup.